Spiritualized returned last month with And Nothing Hurt, their eighth album and first in six years since 2012's Sweet Heart Sweet Light. It's been a long and well documented process that's taken the best part of four years before arriving at the finished article, which represents one of the band's finest collections to date. Currently rehearsing for the European and American legs of their world tour which kicks off in Brooklyn next week, founder member, songwriter, and mainstay of the band Jason Pierce talks Drowned In Sound through the making of the record, signing to Bella Union, the financial difficulties behind putting together a tour, and his overall legacy as a musician and composer of some repute. DiS: You've been rehearsing at Tony "Doggen" Foster's studio in Nottingham. Do you find it comfortable escaping from London up to the Midlands every now and then? Jason Pierce: I don't think so to be honest. Tony's got everything ready to go up there so it's not really about getting away. We'd be away from it wherever we were because that's how people make music. Stuck inside four walls. Most of the band are based in the Midlands so it makes more sense for me to travel rather than them. We're just trying to make a tour fit together. It's been a bit of a nightmare but we'll get it together. But not without losing money again and again. Everything I do seems to lose money. If I could find a way to make that work without losing money, I'd be a happy man. There was only one UK date scheduled for this year so far - last month at Hammersmith Apollo. Will there be any more? There will be for sure, but maybe not this year. Most venues are booked up now well ahead of time. The album came as a bit of a surprise. I don't think people were prepared for it - people that are more organised than I am. It happens all the time when records seem to drop from out of nowhere, yet people have already planned for that to happen. There's a lot of organisation behind those things. With us, it was a case of that's it, we're done. Then people started looking for venues and halls. Nothing was available this year but it will come next year. We'll string a run of dates together. You played some of the highest buildings in the world on the Ladies And Gentlemen... tour 20 years ago. Are there any venues outside of the normal circuit you'd like to play in the future? Maybe on the next tour even? Maybe. I don't have a list. It's just nice for people to be able to walk into somewhere they've not been before. People are used to doing the same things. Even in the same buildings. They tend to stand or sit in the same place, like the bit in the Barbican they always watch from or Brixton Academy. So it's nice to throw that up in the air a bit. Also, it's a bit more of a challenge to do things outside of the norm, but I don't have a list of specific places. Things come up when we see if it can work or not. Your eighth album And Nothing Hurt came out last month after a six year gap between that and its predecessor Sweet Heart Sweet Light. The production difficulties with Youth during the initial stages of making the record have been well documented. How many songs survived the whole process? Did the tracklisting change at any point? You can definitely hear the Sun Ra influence on the more experimental numbers like 'Damaged' or 'The Prize'. It's in there but I think the songs were too classic in shape. I don't necessarily mean classic songs... my guitarist calls them "cowboy songs". They just seemed best in the form they're in now, but it wasn't for the lack of trying other things. Did any of the songs come later in between producers? No. All of these songs were laid down right from the off. The lyrics on songs like 'The Morning After' and 'Let's Dance' to name but two seem very personal if not autobiographical. What inspired your writing on the record? Yeah I guess it is quite a personal record. When you start relating what's going on around you musically they eventually become songs. Even if you aim for something completely different the song takes it somewhere else. It messes with that, which is a good thing. They were all written around the same time; three and a half to four years ago towards the end of our last tour. Some of them made their way into later sets on that tour. We certainly performed 'A Perfect Miracle' and 'Here It Comes (The Road) Let's Go' around that time. We were opening with 'Here It Comes...' the last few shows on that tour, and I even tried the chord sequence to 'I'm Your Man' when it was a different song. There was a shape to those chords. We'd been playing 'The Morning After' in rehearsals so they had some kind of form but weren't really songs. When it came to laying them down most of the lyrics and the way they would fit were already in place. And Nothing Hurt is a very diverse record in a similar vein to the majority of Spiritualized's output - always difficult to categorise or compartmentalise into any one specific genre yet relevant throughout. Would you say that's been key to the band's longevity? I think musicians are always quick to proclaim their genius and if they don't do it, somebody else does. Also, there is a lot of misfortune with how things fit. But then I'm not really interested in that kind of thing. People are too quick to attach themselves to a scene. If they're not doing it, the label is, or riding on somebody else's coattails. Not only am I not interested in that I'm wilfully against it. I know technically we're in the same business as other people who play music - it's the same setup and we play on the same stages - but it feels like we're slightly outside of all that. Not in an arrogant way and it's no better or worse, but I know what interests me in music whereas I think a lot of people are driven by other things, whether it's money or success or whatever. It doesn't interest me. I'm more concerned about putting on these amazing shows and not letting my music go until it's as good as it can be. That's my complaint with a lot of music - it feels like a lot of it undersells itself. Whether it lacks ideas or doesn't have the stamina, I don't know what it is, but there's a rush to release music as soon as people think you can start making money. It's interesting you say this, particularly about the tight quality control surrounding your music. Would you describe yourself as a perfectionist? It's far from perfect. Successive but not perfect. I work in a different way to a lot of people, like those who say they need to get the ideas in their head onto tape. I don't really hold much to that. I think most of it is following up the errors that you play. Let's do that again only better next time. When you see Brian Wilson in the studio following up the errors people are playing in the performance, he's not dictating or saying that's wrong - he's just looking for different ways to make it sound better. I think most rock and roll music is like that. Most of the music I love is far more quickly laid down than anything I do. I just feel like I get more joy by exploring where it can go. Trying to push it into corners it doesn't want to fit. Trying to make it sound other than the narrative it is already. Is that one of the reasons why some of the earliest songs you've written still feature prominently in your live set? Songs like 'Walking With Jesus' and 'Angel Sigh' for example, which have developed and taken on a new lease of life over the years? Definitely. I don't like music to be static. They press the green button to go and the red button to stop then run themselves like a pantomime or something. It's about finding that weird energy between the six people onstage but you tap into something else that's quite mystical. It feels like somebody else is stirring it. Somebody else has got their hands through the roof so you can pick up on that and push it. It's always about trying to do that, and as soon as it works - even when it's abstract and you're doing the same thing every night - it needs to be pushed somewhere else. If it just stayed the same every time I wouldn't really get anything out of that. As well as being the longest serving member of Spiritualized bar yourself, Tony "Doggen" Foster is also the person you've collaborated with in any musical project over the longest period of time. What does he bring to your music that other collaborators haven't? I only just realised how long we'd been working together! 20 years or something like that? That's a difficult question because I've worked with most people until they seem to want something else or it doesn't work out. Everybody in the band is gifted; they've tapped into what makes this work. We have a vocabulary of sound which I guess you'll learn in any band, and you don't wilfully go outside of that unless it's really obtuse because you've got to make it work. Spiritualized lives within its own vocabulary but there's also this shared love for wanting to push things as far as they can go. Tony's very gifted when it comes to that. He knows what he's doing and played some beautiful stuff on this record. It's almost like he's found a new way of playing himself that nobody else has touched on before. This very lyrical thread that's not about single riffs; it's almost like having another voice. Would you say this is the best line up of Spiritualized so far? No, I don't think there's any such thing as a perfect line up. They all worked for what they were at the time. I know fans of the band are always quick to say this was the best line up or that was the best line up, but the good thing is you can have it all. You can pick the bits you want. It's not like you have to pick a whole thing. You can choose whatever you feel is the best for you. It's never been more special than what it is at this moment. It is what it is and it works, but it's not the best and it's not the worst. With this record you're signed to Bella Union. How did that come about and is it a long term arrangement? I don't know. Simon's (Raymonde) got good taste and as a label, let's you do what you want to do. He's got a lot of faith in his artists. He isn't trying to push it somewhere else. Most importantly I like him as a person. Making the record was secondary to me liking him to be honest. How does Bella Union compare with other labels you've worked with? It's a similar question to the band thing isn't it. Which is the best line up, which is the best label? They're all different at the time. They all made sense at the time. With Simon and Bella Union, doing business came second. I like him as a person, I like talking to him, so that seemed like a winning situation whichever way you look at it. You played a bunch of shows to commemorate the 20th anniversary of Ladies And Gentlemen We're Floating In Space. Amazing Grace turned 15 this year. Will you be doing anything to celebrate that milestone? You're the first person who's told me that so I guess you must be the only one who's waiting for it! I've missed that haven't I? I think I'm gonna come late to that party. Glass Redux are reissuing the Fucked Up Inside live album on vinyl which was recorded in Chicago in 1992. How do you feel about unauthorised releases such as this and do you think the record itself gives a true representation of who Spiritualized are today? I'm always quite dubious about this kind of thing. I don't know a lot about this release except I believe it has something to do with the former manager of Spacemen 3 who we're currently taking to court. I'm not sure if Dave Barker is fronting that? Nobody has told me the true story so I can't really offer much in the way of a comment other than to ask people to stay away from those releases. I had no idea it was being released. With over three decades of making music behind you, having been namechecked by various musicians and cited by numerous bands as a reason for their existence and even had an integral part of a music festival (Spacefest! 's Pure Phase Ensemble) name itself after one of your albums, your legacy reaches far and wide. How would you like Jason Pierce to be remembered? I also heard about some people in South America that only and exclusively listen to Spacemen 3 records, so if I ever need a place to stay or go and hang I'd probably go there. It sounds both fascinating yet strange in equal measures. The good thing about music is it's ultimately owned by the listener. I think that's the nicest thing about it. I've seen audiences singing the words back to every song and it struck me the songs don't belong to the artist. Every person in that audience had lived their lives, fallen in and out of love, experienced whatever traumas, heartaches or brilliant things had happened to them and could relate it to those songs. Which I think is the best thing anyone can say about music. You take these personal things and make them your own so in a way the author becomes insignificant. That's why I don't understand when musicians proclaim their genius or whatever. It's not really about them. When the song's gone it's gone, so I'm not really looking for anyone to remember me. I'd rather people have those time capsules they can relate to instead. I don't get as emotionally connected to my songs as I did when I was putting them down. But if anybody gets the same feeling from a piece of music that I do then that's worth spending hours on end fretting over those simple songs. I also believe the music you listen to becomes part of who you are: The way you talk, the way you walk, the way you relate to people. I think people know how important it is because it becomes part of who they are. I read in an interview that you'd taken an interest in your children's love of urban music. Are there any new acts you're particularly keen on right now? Any artists you envisage could hold the same reverence as yourself in 25 years time? Probably, although it would be difficult to list them. When I'm making a new record the thing that destroys me most is I can't stand things getting in the way. Most of the time I think "what's the point?" when I'm hearing great music being made around me. It just interferes with what I want to do. JP: Be true to yourself. Tell the truth. That's the biggest deal really, isn't it? Even if you have to lie a little to do it! So what's next for you? Not just Spiritualized but Jason Pierce as an artist, particularly after having hinted And Nothing Hurt could be the band's last album. Do you look that far into the future? No, not really. When the album came out we only had a small budget to work with, so my plan at the moment is trying to figure out a way how we can do these huge shows without losing too much money. I guess a large part of the financial element can be laid at the feet of streaming sites like Spotify. Do you think the way people consume music has changed for the better, particularly from the perspective of an artist? I think it's good that everything's freely available now - it's difficult to argue with that. I carried the ideas of bands. I remember talking about bands like Harmonia and Kluster; I knew their names from Kraftwerk, but I didn't know where to find their records. So I carried that information around for years until I dug it up like some rare archaeological find seven or eight years later. Nowadays you can type their names into Google and dig it all up in one great hit so that has to be a good thing. I'll always find a way to make it work. I don't want to sound like a complainer. The ideas for what we want to put on stage are often bigger than the stages themselves. It's just about finding a way of making all of that fit. And Nothing Hurt is out now via Bella Union. 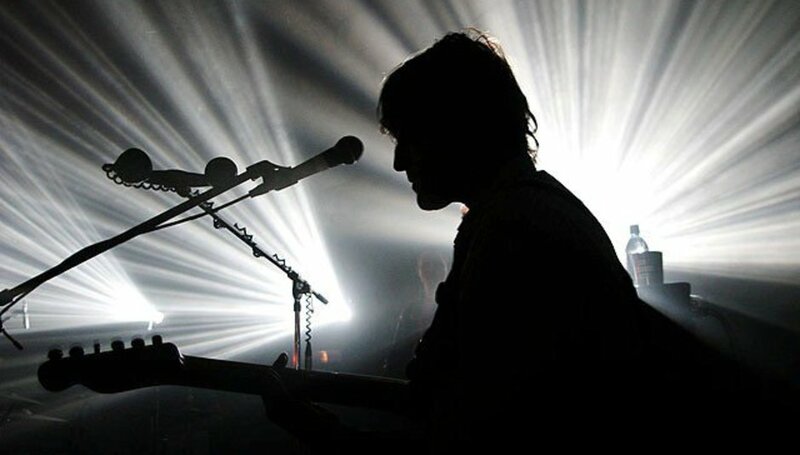 For more information on Spiritualized, including forthcoming tour dates and where to purchase tickets, please visit their official website.